OK, I love salt. Like in college I use to carry my own personal blend in my purse. I can eat salt on everything, and luckily for me I have low blood pressure so the more salt the better, SCORE! Needless to say when I saw Sea Love, Sea Salt at the Blueberry Festival last weekend, I was intrigued. 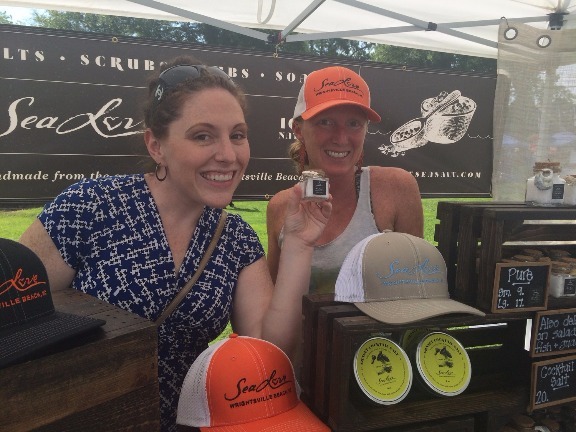 I chatted with Amanda Jacobs the creator of Sea Love, Sea Salts and I could instantly tell we were kindred spirits. So how exactly does she take salt water from Wrightsville Beach, NC (the beach I've gone to my whole life) and turn it into delicious salts with flavors like Rosemary, Garlic, and even Truffle? "​Solar evaporation takes the longest amount of time, but also creates flakey yet crunchy salt, while using no energy. Turns out, the fast moving clean waters of Wrightsville Beach create an amazingly delicious salt with perfect texture! So perfect that we decided to share with others." 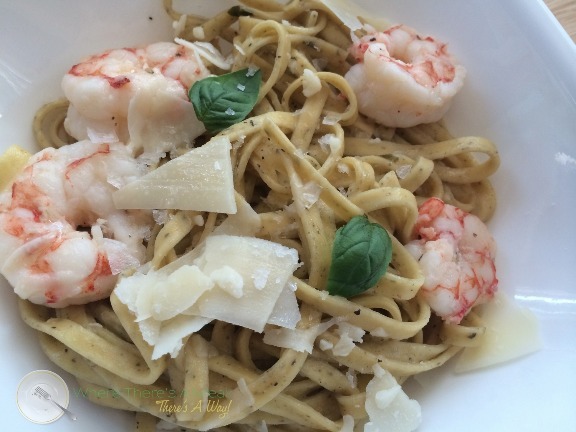 Last night I made my Supremely Simple Seafood Scampi, and topped it with Sea Love Sea Salt Garlic Salt. Oh.....my....word. It is flakey yet crunchy just like Amanda said. The Garlic Sea Salt has the delicious hint of garlic, but it doesn't overpower your dish with saltiness. As a salt lover I think I have found my new favorite condiment, and lucky for me Sea Love Sea Salt sells small tins perfect for carrying in purses. Looking for a way to take your dish to the next salty delicious level all while supporting a great local NC business? With Sea Love, Sea Salt, where there's a meal, there's a way! 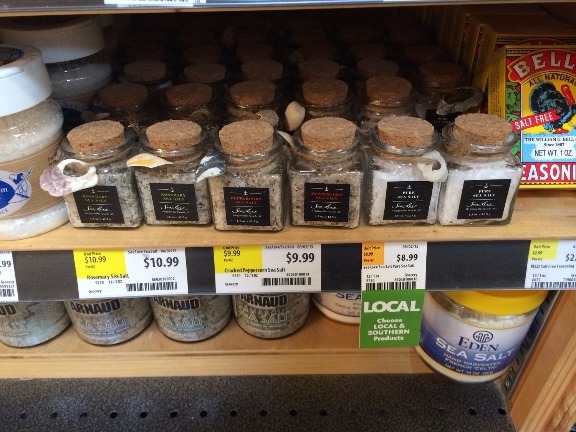 You can purchase Sea Love, Sea Salt directly from their website (I found these on my latest trip to the North Raleigh Whole Foods). I adore the packaging, every bottle is attached with a Wrightsville Beach , NC sea shell. It would make a perfect hostess gift (or just a gift for your mouth).